This organic tea is a powerful antioxidant. Special aroma, high in vitamin C.
Serve with cinnamon and lemon. Try it and relax for the day. In a small sauce pan bring to a boil the water. Remove from the heat and stir in the tea bag and live for 3 minutes. 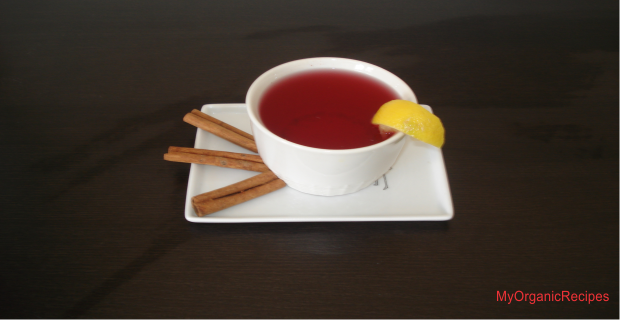 Remove the tea bag and assemble the ingredients in a mug and garnish with cinnamon stick and lemon.